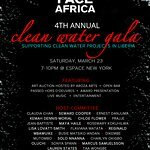 FACE Africa connects and collaborates with individuals and organizations doing life-changing work around the world to raise awareness and help transform impoverished communities in Liberia and Sierra Leone. Their goal is to rebuild and improve communities that were impacted during years of civil unrest in Liberia and Sierra Leone by providing access to clean water and sanitation, education and training, health and nutritional programs, and empowering women and girls. They accomplish their goal by forging partnerships with local communities, partner organizations and government agencies in the countries that we serve to ensure sustainable, long-lasting programs. Google trends for "FACE Africa"
We don't have any videos related to FACE Africa.